Ensuring a community that is a healthy place for all residents is the goal of the Environmental Justice Element of the Jurupa Valley General Plan. 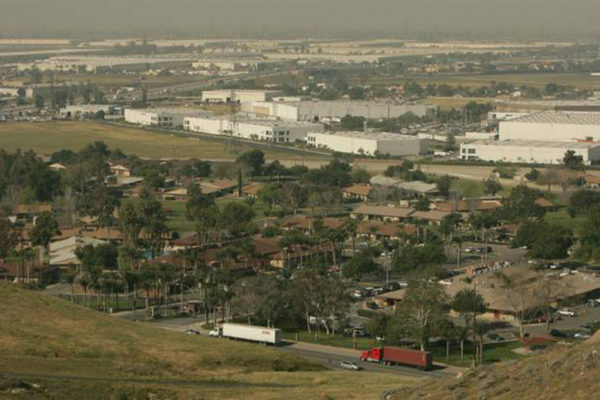 Civic Solutions prepared the Jurupa Valley Environmental Justice Element (JVEJE) which was adopted by California’s most recently-incorporated City on November 6, 2014. The Element, only the second to be adopted in the State, meets – and exceeds – requirements for addressing environmental justice in general plans. California General Plan Guidelines require that issues of procedural and geographic equity be addressed either throughout the general plan or in an optional element. The JVEJE fulfills that requirement as an optional general plan element with a comprehensive set of objectives and policies that addresses all forms of environmental equity. A primary focus of the JVEJE is to ensure that all members of the community are able to participate in decisions that influence their environment. The Element also effectively addresses geographic equity through objectives and policies related to land use, mobility, active living and housing. Upon incorporation in 2011, the City of Jurupa Valley inherited its portion of the Riverside County General Plan including the Jurupa Area Plan. While work on a new City general plan was delayed, work on the JVEJE was initiated by a lawsuit involving a warehouse/distribution center proposed near a low-income neighborhood. Civic Solutions prepared the document on behalf of the City working with the lawsuit’s primary plaintiff, the Center for Community Action and Environmental Justice (CCAEJ), and others. The consulting firm conducted extensive research and examined alternatives for how to comprehensively plan for environmental justice. They laid out a plan that clearly documents existing procedural and geographic inequities and introduces thoughtful policies that will make development decisions more fair and inclusive. In 2015, the JVEJE was given a Best Practices in Planning award by the Inland Empire Section of the American Planning Association (APA) and an Advancing Diversity and Social Change Award of Merit by the California Chapter of APA.